What to expect at NAMM 2019 - Prestige Guitars Ltd.
NEW DEVIN TOWNSEND SIGNATURE ACOUSTIC! Yes, we have teamed up with the one and only Devin Townsend, to design and launch a new Devin Townsend Signature Acoustic Guitar. We can’t give away all the details just yet, but let’s just say it is very “Devin”. Classic styling with some very cool, modern appointments, and top notch all the way. Oh, and it is a Dreadnought. We’ll leave it at that! And if by chance you are attending NAMM, Devin will be at the Prestige booth for a signing, and then headlining a special show on Saturday Jan. 26th, playing his new acoustic to celebrate the launch, before heading on an Acoustic World Tour starting in March. Get in touch with us for show details and tickets! 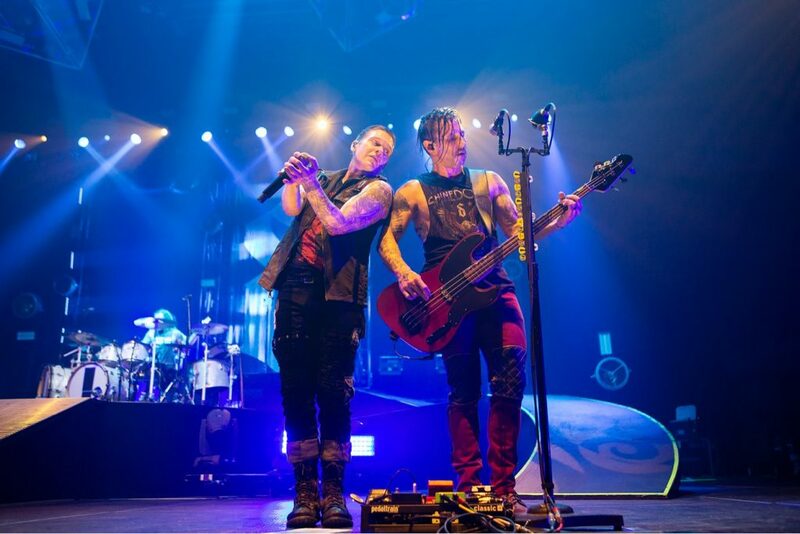 NEW SIGNATURE BASS FOR ERIC BASS OF SHINEDOWN! There has been lots of buzz about this one, and we are finally ready for liftoff! The new Eric Bass Signature bass will be unveiled at NAMM and available immediately for purchase through Prestige dealers and direct through www.prestigeguitars.com. This new bass is the culmination of nearly 2 years of R&D and extensive road testing and seriously folks, we have created an absolute beast! Solid Ash body, solid one piece maple neck with Pau Ferro fingerboard, Hipshot Hardware and a Seymour Duncan Quarter Pound Single Coil pickup. We will be releasing this one in 2 finishes, but you’ll have to tune in at NAMM time to see exactly what those are. Todd Kerns Anti-Star Signature Bass will now be available in Arctic White! Todd will be kicking off a major world tour in January with Slash featuring Myles Kennedy and The Conspirators, and he will have his new white Anti-Star basses on the road with him exclusively. Don’t worry, he’ll have the gloss black version as well and both will be available for purchase immediately! Rex Brown Signature Model available in Vintage White! Rex has been dying to create an alter ego 6 string to trade off with his Satin Black Rex Brown Signature Model, so we’ve decided to launch the “Rex” in Satin Vintage White. This version will feature not only the all-over Vintage White paint job, but black binding as well. Just like Rex, you might need one of each! The New Prestige “Phantom” Bass! In order to round out our bass line, we are launching a brand new, classic inspired Prestige bass. The new “Phantom” Bass will feature a solid Ash body with Gloss Trans-Black finish, One piece Maple neck with Reverse Headstock and Vintage Tint satin finish, Seymour Duncan Single Coil Quarter Pound pickup and we’re keeping this one really simple with a single volume control and black Mother Of Pearl pick guard and black Mother Of Pearl binding. Artist Signings Announced for NAMM! Signings for this year will include Devin Townsend, Eric Bass of Shinedown, Rex Brown of Pantera, Rich Ward of Fozzy and Cory Churko of Shania Twain. Check in soon for a full schedule! We’ll have some new and existing bass guitars at our North Van showroom by Mid February. Stop by to take a look and try them out when you have some free time. We look forward to seeing you at the shop!